Carnival is basically the same as Mardi Gras. It is a huge party in Mazatlán. 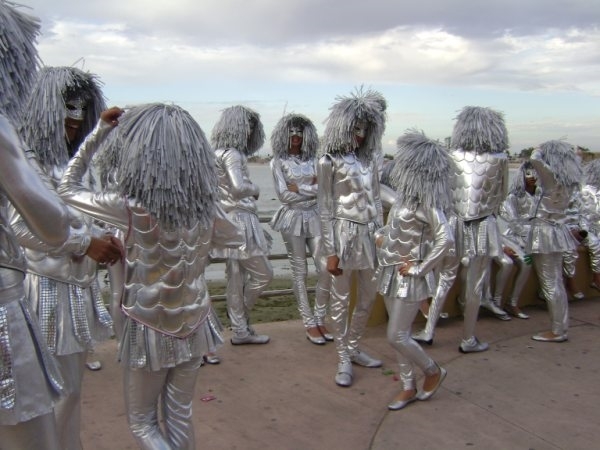 The Carnival in Mazatlán is reported to be the 3rd largest in the world after Rio De Janeiro and New Orleans. There are 2 big parades down the Malecon, big shows at the baseball stadium, and a big party at Olas Altas. Since it is Mazatlán, there is a lot of Pacifico beer flowing! We will give you a list of the Carnival Events and provide details that will allow you to decide whether to go to them or not. The first Carnival in Mazatlán was in 1898 and it has been an annual event since, except for a few years. Every year has a different theme. Carnival runs from a Thursday to Tuesday(Mardi Gras Day or Fat Tuesday or Shrove Tuesday). This Tuesday is significant in the Catholic religion because it is the last day of feasting before Lent begins on the Wednesday(Ash Wednesday). Lent is a period of 40 days(not counting Sundays) of fasting prior to Easter. The tradition now is for Lent is to choose to give up something during this period or volunteer rather than actually fasting. 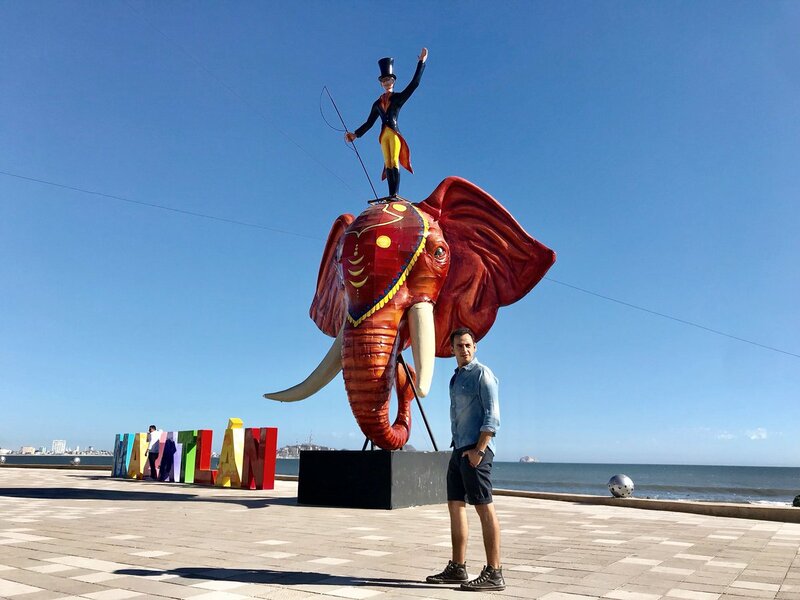 Usually a few weeks before Carnival, about 10 giant multi-coloured carnival figurines (called 'Monigotes') go up on the Malecon. These figurines are based on the theme of the current year's carnival. Tickets for the paid events can be bought at the Cultura 9am-5pm, Angela Peralta Theatre 9am-2pm and 4pm-7pm, La Gran Plaza 10am-8pm, Plaza Acaya 10am to 8pm. A few weeks before Carnival starts, giant multi-coloured carnival figurines (called 'Monigotes', i.e. puppets) go up around town on the Malecon and in the Plaza Machado. These figurines are based on the theme of the current year's carnival. Bad Mood Riddance (Quema del Mal Humor) is an event where a giant puppet which is an effigy of a famous person is loaded with fireworks and set affire in an effort to get rid of bad feelings. This all takes place in Olas Altas near the Deer monument. For 2019, a giant puppet representing Peña Nieto, the former president of Mexico will be burned! The Naval Combat Fireworks (Combate Naval) is one of the most popular annual events during Carnival in Mazatlán. 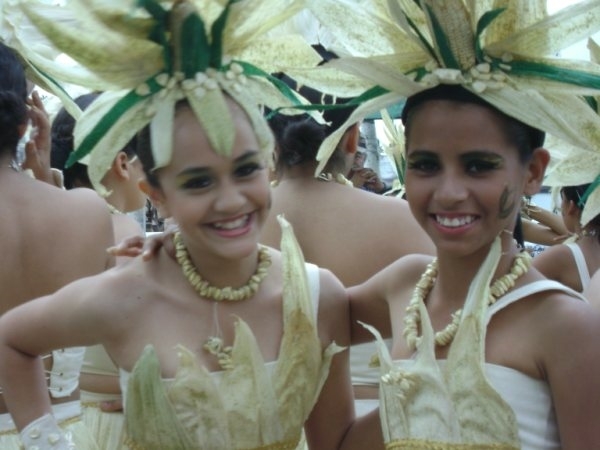 It takes place on the Saturday of Carnival at Olas Altas. This event consists of extravagant fireworks. The historical implication of this event is that in 1864, the French naval ship Cordeliere tried to invade Mazatlán. The residents of Mazatlán fought back and held off the attack. This event is meant to commemorate this victory in battle! This is a family friendly event. 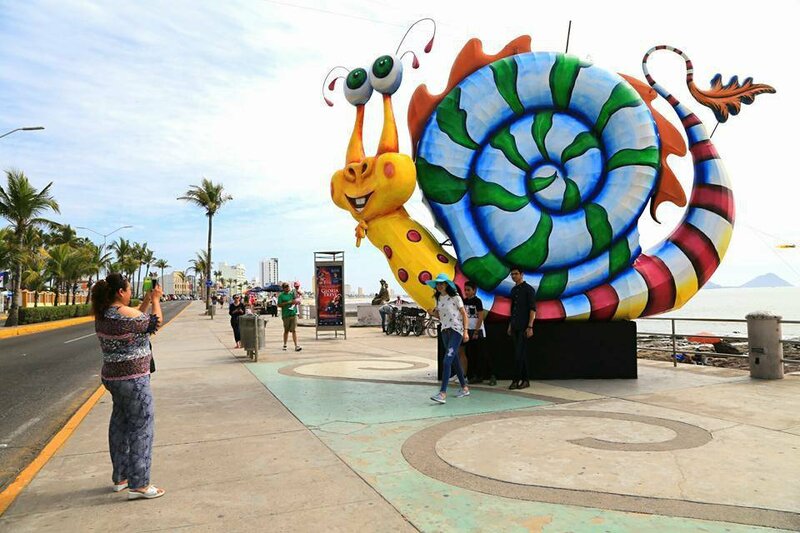 The Inaugural Parade (Primer Desfile de Carnival) is the first of the two big parades with huge floats along the Malecon. This parade takes place on the Sunday of Carnival. This parade starts at 5:30pm and goes along the Avenida Del Mar from the Fisherman's Monument (Avenida Gutierrez Najera) to Fiestaland (Avenida Rafael Buelna). The Malecon fills with about half a million people to watch the parade go by. In 2019 there will be 31 floats and 18 other groups. For days before, people set up chairs to rent and try to reserve the best spots for viewing the parade. The city has been trying to crack down on this, but with limited success! &bnsp;The city seems to be allowing people that show up with a few chairs and umbrellas to set up for a family, but not those that show up with hundreds of chairs. 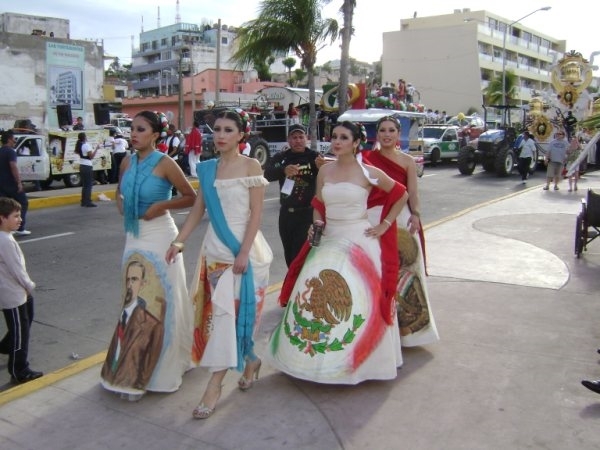 The parade goes along the southside lane of the Malecon. The northbound lane is also closed for spectators. The Second Parade (Segundo Desfile de Carnival) is the second of the two big parades with huge floats along the Malecon. This parade takes place on the Tuesday of Carnival. This parade goes along the Avenida Del Mar from the Aquarium to Playa Norte. The Malecon fills with people to watch the parade go by. 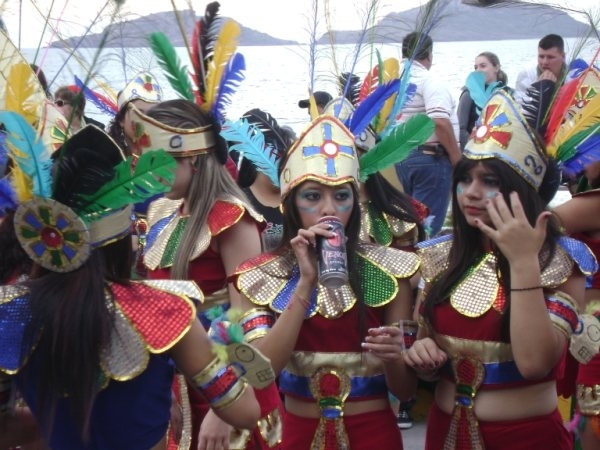 When is the 2019 Carnival in Mazatlán, Sinaloa, Mexico? The dates for 2019 Carnival in Mazatlán, Sinaloa, Mexico are February 25, 2019 to March 5, 2019. 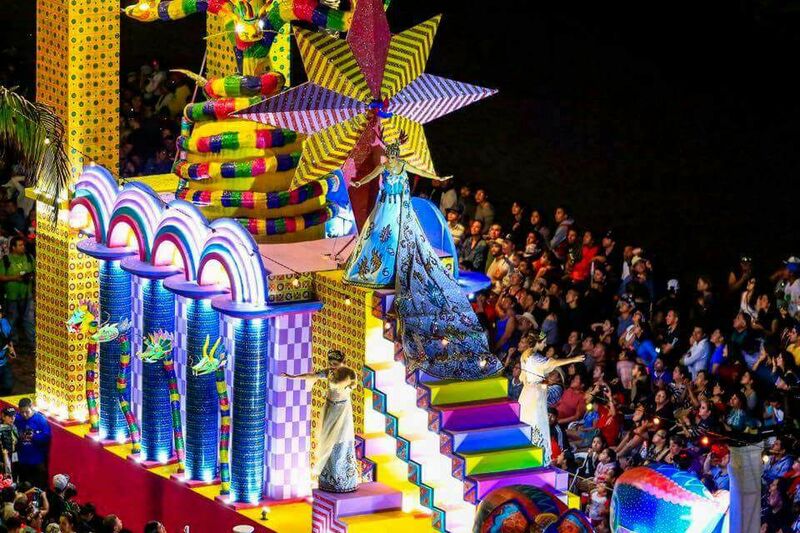 When is the theme of the 2019 Carnival in Mazatlán, Sinaloa, Mexico?